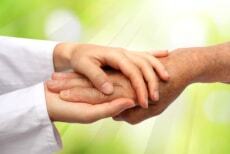 Home care services are always built on trust. When you engage with the services of Home Health Aides, nurses and physicians; you trust them with the lives of the people dear to you. And with Cairo Home Care, Inc, your trust is something that we do not take lightly. We are very serious at what we do. We want to help you. Because of our staff’s dedication, many of our clients continue to choose us to be their home health care provider. Over the years, it has been this way. We hope to continue on and earn your trust in the process. The right services and the right people are the perfect combination for us to help. Our staff and personnel, you can be sure, are excellent and reliable. We have certainly set our standards high for the people who work for us, the people who will deliver the services. They have acquired the necessary licensing requirements and trainings to practice in the state. Apart from that, they are constantly upgrading their knowledge base by going to symposia and seminars about the developments in the industry. Our nurses and therapists have also undertaken specialization studies to make sure that they focus on their craft. Come work with us at Cairo Home Care, Inc and be a part of our family! Give us a call at 305-827-3667. Schedule an appointment with our Human Resources Manager and bring your credentials. We’ll be so glad to have you with us. Or, submit your application online.